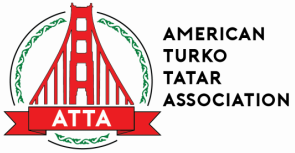 While the Tatars who arrived in the San Francisco Bay Area were a very small minority among the many nationalities in California, a few individuals decided to formally organize the Tatar community in order to preserve the traditions of their forefathers. On May 15, 1960 at the Odd Fellows Hall in the city of Burlingame, thirty individuals gathered to hold the community’s first formal planning meeting. On this day, it was determined that an organization be founded as the American Turko-Tatar Association, Incorporated, with the goal of preserving the cultural, ethnic and religious interests of the local Tatar community. In addition, the members elected officers, settled membership matters and established organizational by-laws. In the ATTA’s early years, meetings were held at various members’ houses, but in order to accommodate the growing membership, the community soon re-evaluated its need for a true center. Not only was a community building necessary to host meetings, but also for cultural enrichment, religious classes for children, nightly prayers during the month of Ramazan and the observance of festivals. In 1966, the ATTA Board of Directors unanimously approved the purchase of a building on El Camino Real in Burlingame. However, because the building was not suitable to the needs of the community, a task force was organized to manage a significant remodeling. The ATTA community depended solely upon its own strength for this project. Those who were able – old and young – took on the major job of renovating the building, while women of the Tatar community brought hot dishes for the workers from their kitchens, making the long days worthwhile. Within a year and a half, the project was complete and the building included a kitchen, a main hall, an office and two restrooms. Thanks to the tireless efforts of our early members, the Bay Area Tatar community finally had a home to call its own. The community center is affectionately referred to in Tatar as the Bina. In the time since those early years, the Bina has hosted countless religious events, cultural occasions and activities for its members and the community at large.